Using our deeds, old newspaper archives and the UK census we are able to build up an understanding of Penraevon, who lived here, what they did, and what happened to them. 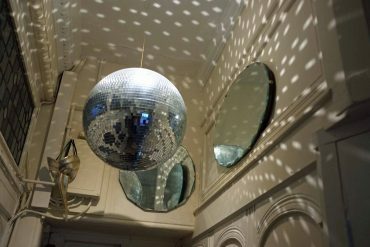 The history of the house is a history of Leeds. It is developed by Woollen Manufacturers, bought by a coal mine owner, lived in by a wool merchant, bought by a fine wool manufacturer, lived in by a ready to wear suit exporter, bought by a civil Engineer before being sold as an office for 60 yrs. It is thought that the house was built by Architects Chorley and Connon in 1882, a three bedroom house with two servants rooms and groom quarters. It was part of the Newton Park Estate developed by the Lupton family. 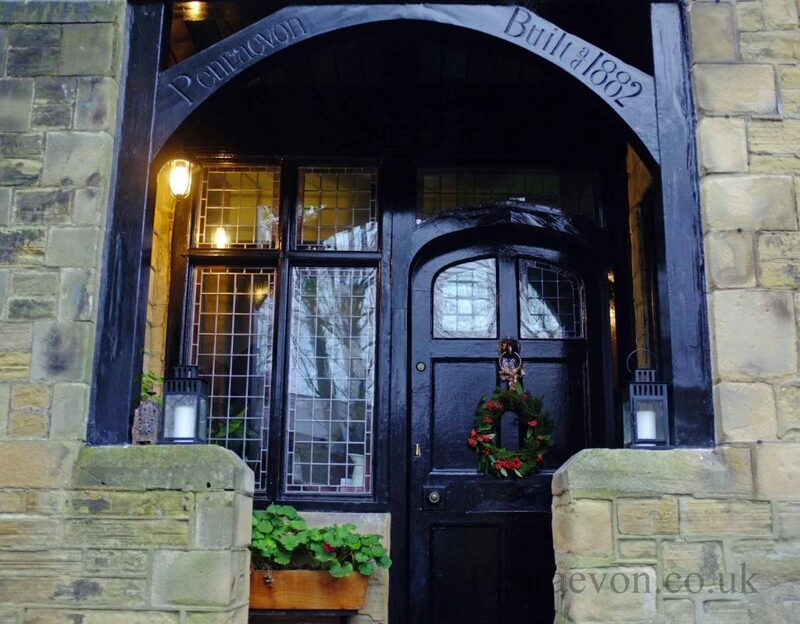 It was altered to a four bedroom house, with two servants rooms and groom quarters in 1898 by the architect Corson. 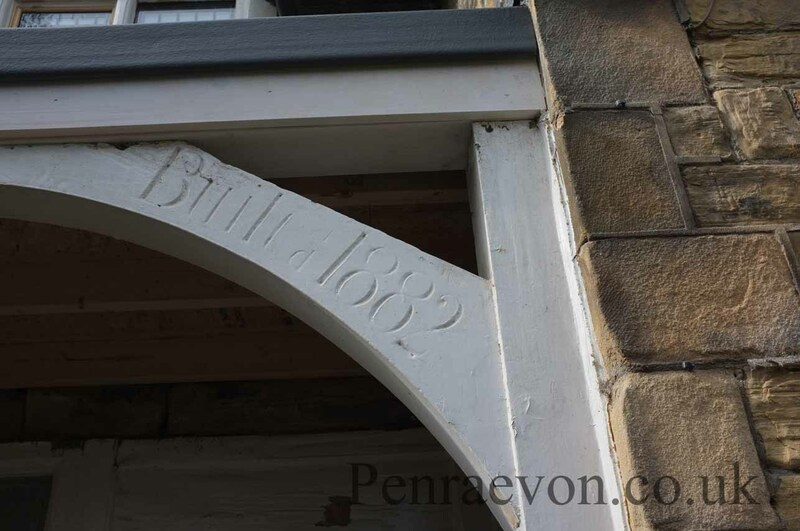 The house was originally called Penraevon and the name carved into the doorway with the date 1882, the name was changed to Redbank the same year, then by 1901 the name of the house is turned back to Penraevon . The house had its name changed yet again, this to time Bushbury House in 1958 which remained until we change it back to Penraevon in 2014. 1870 Arthur Lupton (owner of Newton Hall) gives his two brothers Francis and Darnton Lupton a plot of land on the grounds of Newton Hall (family residence) to build homes for their heirs. 1870 George Corson the architect is appointed to design a layout for the Newton Park Estate including a street plan and plots. 1873 Darnton Lupton dies. His Will states that his sons William Walter and Sydney Lupton may dispose of all his real estate by public auction or private contract. 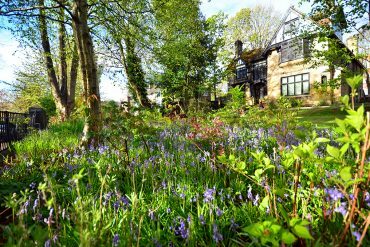 William Walter, Sydney and Francis proceed with the plan to develop the Newton Park Estate on the grounds of Newton Hall. . They do not however proceed with the original George Corson plan but instead establish the Newton Park Building Club. 1879 Newton Park Building Club employ Chorley and Connon to produce an over-all plan and design the houses Rocklands, Eltonhurst, Oakfield and Redbank. Francis Martineau Lupton (son of Francis and Frances Lupton) is to live at Rocklands. 1881 Census John Franks is no longer calling himself a Master plasterer but instead a builder employing 80 men. 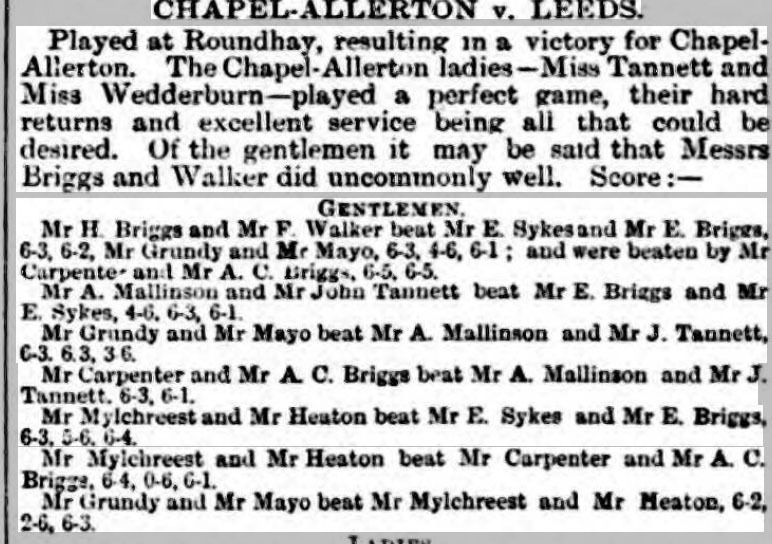 (By 1891 John Franks is a Surveyor and valuer working with Leeds Permanent Building Society, when he dies in 1901 he leaves a number of houses built on Penraevon Street). 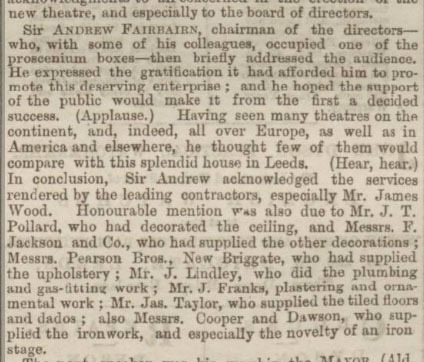 1882 4th May Mr John Franks raises a mortgage of £896 to buy a dwellinghouse. Due to the 1874 act of Parliament Building Societies could only lend money on completed building. The house was therefore built by this date. Unfortunately, we do not have the Abstract of the Title. At St John’s Church, Bilton, July 5, by the Rev Basil Woodd, MA, assisted by the Rev JJ Cachemaille, Arthur Currer Briggs, eldest son of the late Henry Currer Briggs, of Leeds, to Helen Jones, daughter of the late B Jones, of Leeds. 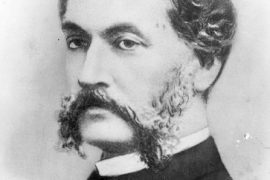 1884 Francis Lupton (owner of the Newton Park Estate) dies leaving his wife Frances as Executor a position she refuses to take up and passes to her sons. 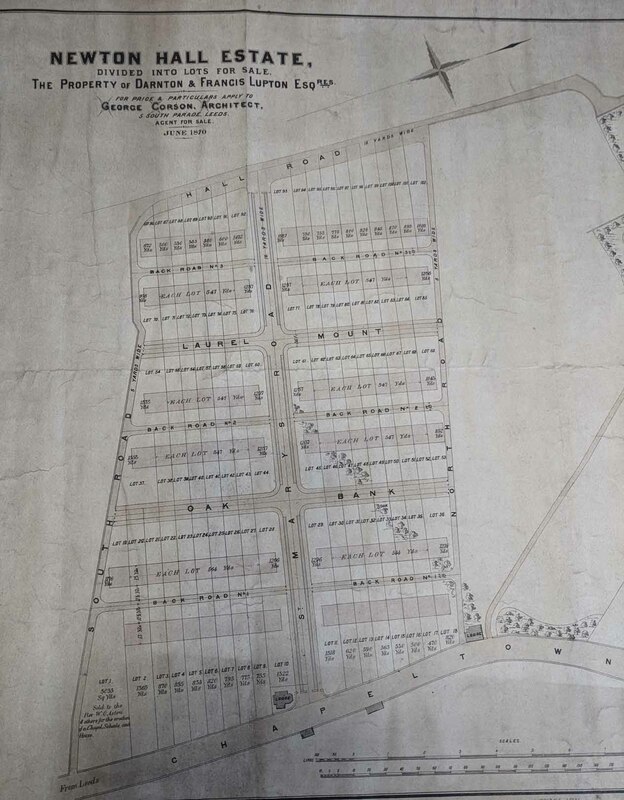 1886 30th Nov Arthur Currer Briggs buys the second plot of land adjacent to the house (now our garden) from Francis Martineau Lupton (owner of Rocklands ) , Arthur Greenhow Lupton, Chas Lupton and Hugh Lupton (owners of Newton Park Estate). We know he was a keen lawn Tennis Player and this seems to be what he wants the land to be used as. 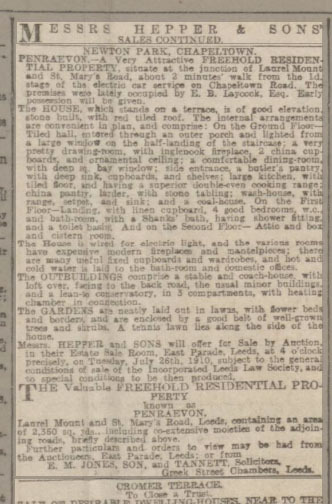 (A for sale notice mentions a Tennis court in 1895). Newton Park already has a Tennis ground for use of all residents. 1887 13th August Mrs A C Briggs advertises for a nurse for their 3 yr old. He calls the house Redbank. 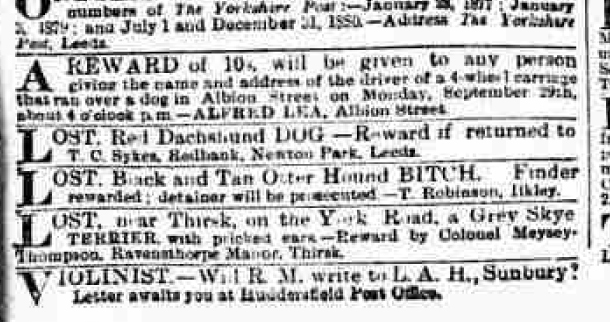 1890 James Cecil Sykes, who is renting the house, loses his red Dachshund and advertises a reward ,4th October in the Yorkshire Post. 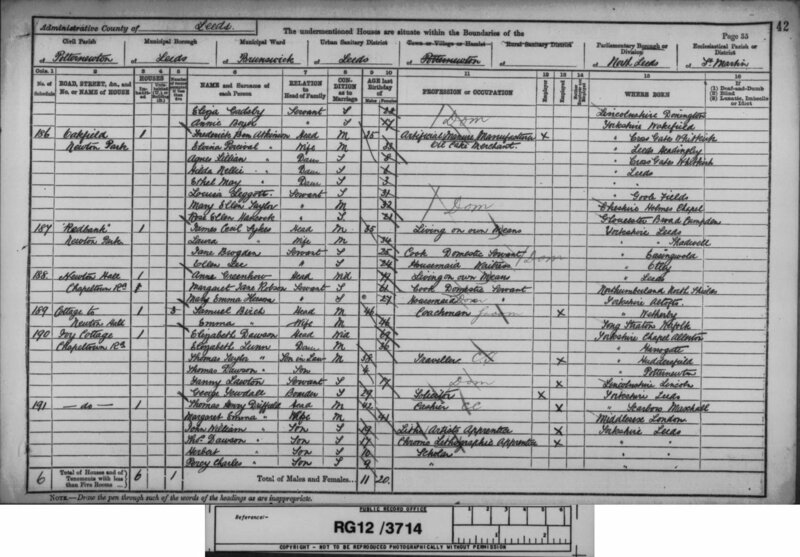 1891 Census details James Cecil Sykes (aged 35) living of his own means with his wife, the cook and their maidservant. The house is called Red Bank. James Cecil Sykes’s father was a woolen merchant. 1891 James Cecil Sykes loses his dachshund for the second year running. 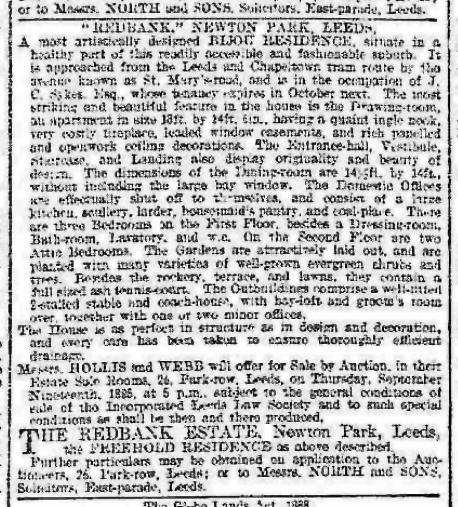 1895 The house is advertised For sale (click on the link to read a clear transcript) in the Leeds Mercury. It states that Mr James Cecil Sykes lives in the house and will be remaining there until Oct 1896. It is described as Redbank. 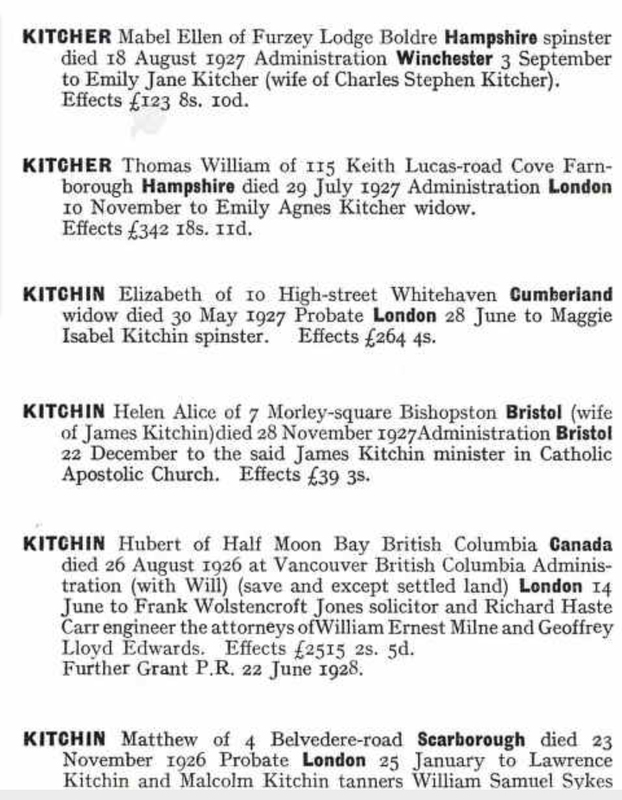 1898 Mr AC Briggs sells the house to Mr Hubert Kitchen (aged 30) a worsted manufacturer. The house is known as Penraevon in the deeds and is described as being part of the Newton Hall Estate. 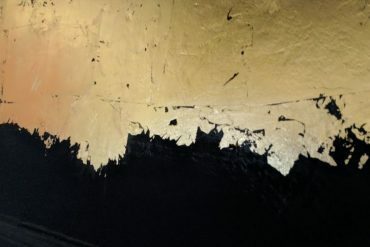 It is bought for £1500. 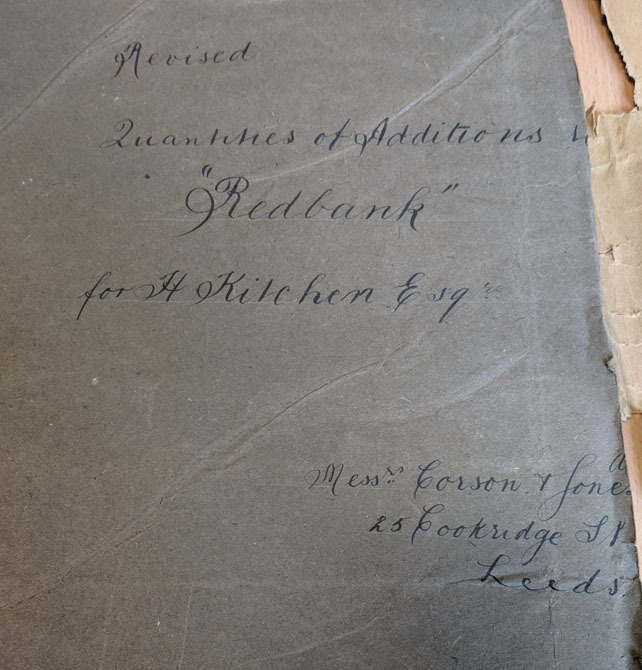 1898 Mr Hubert Kitchen appoints George Corson to tender for alterations to the house (which is called Redbank) and to build a greenhouse in the garden. The cost of the alterations is estimated at £287.2.6 and the new greenhouse is between £92 and £99. The alterations included adding a large master bedroom to the rear of the building and installing more waterworks. 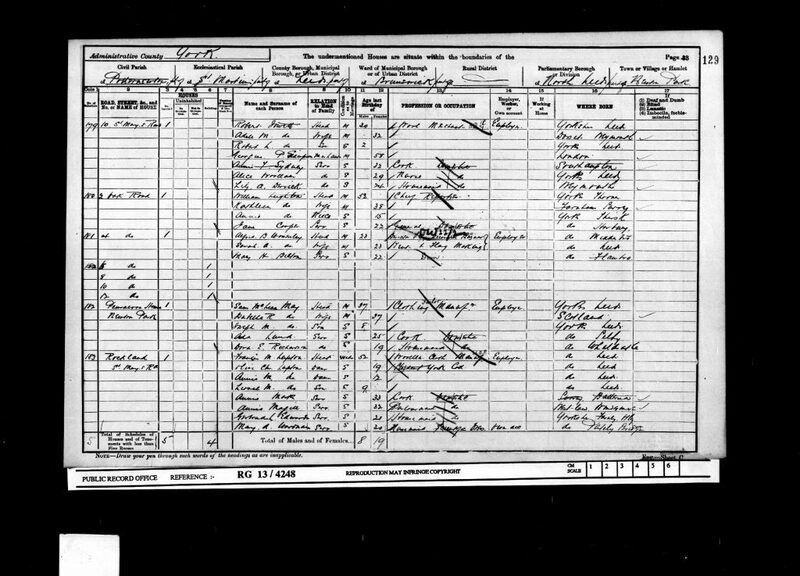 1901 Census details Samuel McClean May (aged 37) living in the house with his wife Isabella, their son Joseph, a cook and their maidservant. The house is called Penraevon. Samuel McClean May was son of Joseph May who had a woollen warehouse, his sons Sam and James changed this to a ready to wear suits manufacturer exporting across the world. 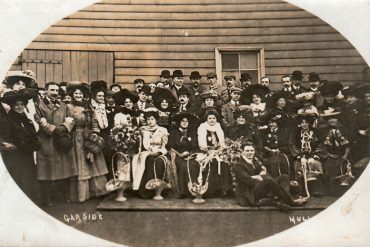 1901 The May’s advertise for a cook maybe the one named in the Census. 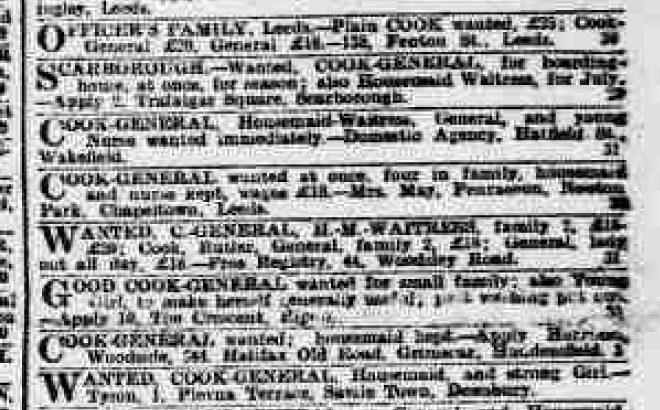 1902 Mrs May advertises for a cook urgently, they must have not been very good at keeping staff. Mrs May also says they have a nurse as well as a housemaid. To have a housemaid, nursemaid and cook was a sign of an upper middle class family at the time. 1911 Census There is no entry for Penraevon (or Redbank). We know Samuel McClean May was no longer living at Penraevon as he had built a very grand house in Adel called Athill Court which is built in 1911 and he is living there (it is a very large magnificent building which was converted to flats in the 1950’s now flats) and he appears in the census at that address. 1914 July 28th World War 1 breaks out. 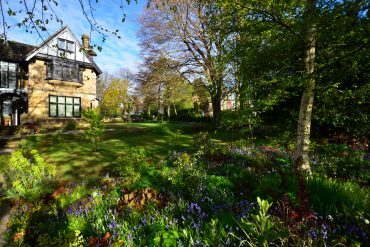 1917 All three of Francis Martineau Luptons sons are killed in the war, he moves out of Rocklands and moves in with his Daughter in Roundhay, and turns the house into a home for Orphans of soldiers and sailors. 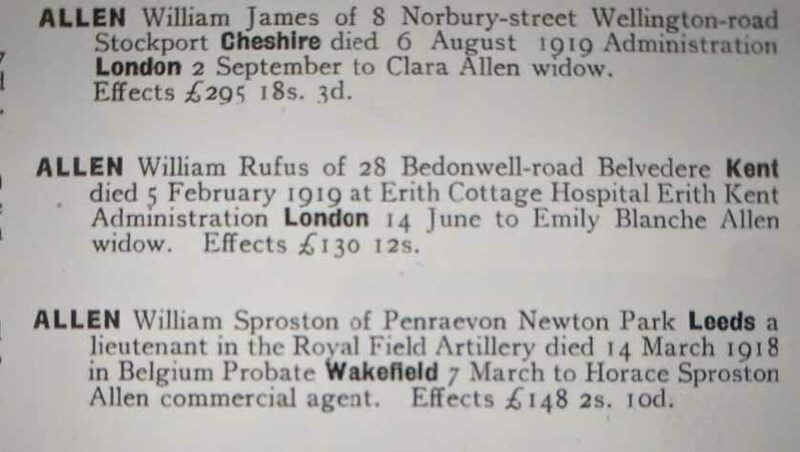 1918 Roll of honour at University of Leeds OTC William Allen 1st West Riding Royal Field Artillery killed 14/3/18 aged 20 at the battle of Ypres. Educated at St Peter’s York only son of Mr and Mrs H.S. Allen Penraevon Newton Park. Announced in the Yorkshire Post 27th March. 1918 November 11th First World War ends. 1935 Mr and Mrs Acfield hold the wedding for their daughter. 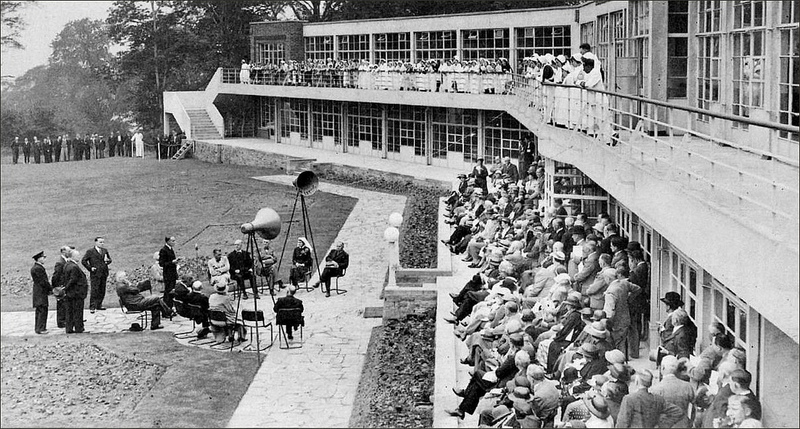 1936 although not an architect Mr Acfield was also responsible for the design and build of the Killingbeck Sanitarium a very modern future building which was listed in the 1990’s but too late to save it and it was later demolished. Here it is from the opening brochure. 1938 Mr Acfield is made President of the Royal Town Planning Institute and introduces the Green Belt planning restrictions. 1938 Mr Acfield produces a plan of leeds and the inner ring road. 1939 1st September World War 2 breaks out. 1939 Government conducts an emergency Register which is fortunate as the 1931 Census was destroyed in a fire in 1942. It shows Mr and Mrs Acfield living in the house with their servant Phyllis Wearmouth. The house opposite us was by this time a Boarding House. 1939 2nd September Mr Acfield advises people on the correct way to put up their bomb shelters. We presume our coal bunker was extended and had a concrete roof added at this stage to form a bomb shelter. 1939 10th November Mr Acfield loses his Irish Terrier. 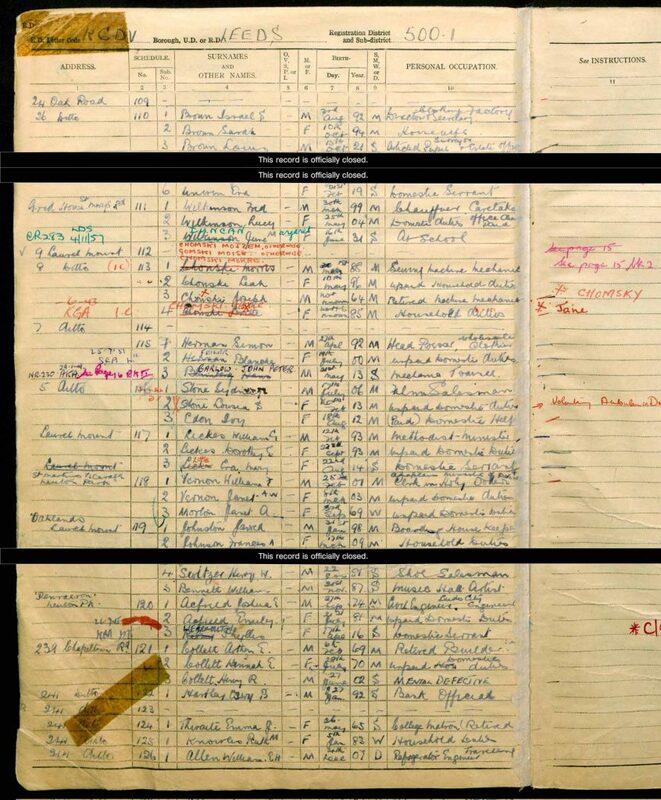 1943 Emily Acfield sells the house to Mr and Mrs Foreman (he is a motor driver though in the 1939 census it says tailor and motor driver) for £1600. The Acfield’s moved to the countryside just near Grassington, probably to enjoy retirement and escape the war. 1945 March, just four months after buying the house, Mr Benito Sevilla sells to National Benzole Company (later to become National and then B.P) for £2500 after getting Leeds City Council to agree that the house could be used as offices. Benzole was set up by the company who Became British Petroleum. 1945 2nd September World War 2 ends. 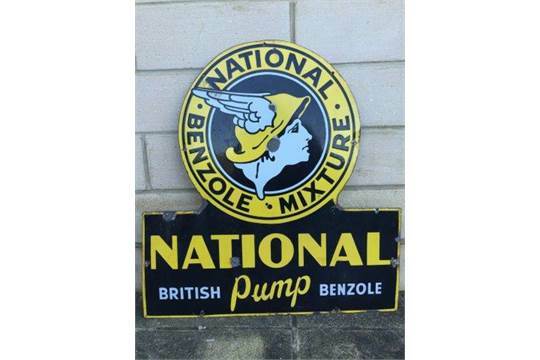 1958 National Benzole Company (after becoming part of Shell and BP the year before) sell to Electric Construction Company for £2750 and change the name to Bushbury House (they are based at Bushbury in Wolverhampton). 1968 Electric Construction Company is sold to Aberdare Holdings . Presume they plan to close the office as a planning consent was sought to change the house to 2 storey residential flats, this was thankfully refused. 1972 Electric Construction Company sell to Nova Properties for £6500. 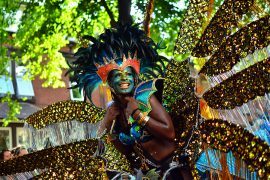 We know little about this time but by the 1980’s it was a Black Mental health centre which offered counselling and therapies. 2002 Nova Properties is dissolved and the property is sold to one of the Directors David Ian Newitt for £105,000. The property is rented to the NHS. The NHS also own Rocklands another large house on the Newton Park Estate which they now call St Mary’s House. 2012 The NHS move out. 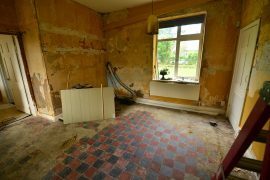 Plans are put in to convert the house into flats, a nursery and also two five bedroom homes. All plans and provisionally given the go ahead. Prospector properties rent out the house to a family until a year later deciding to sell the property. 2013 The house is re-classified as a Single dwelling house class C3 . This means that it can only be lived in by a family and is no longer a commercial premises and cannot be returned to commercial premises without planning permission. 2014 Prospector Properties sell to us, but my oh my it needs a lot of work, here is the listing on Rightmove – hope it still works. I am an Australian art historian/ teacher and I have had much of my research published in the mayor UK papers. 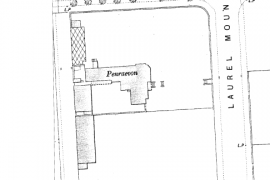 As you are aware, Penraevon was originally on the (Potter)newton/Newton Park Estate. 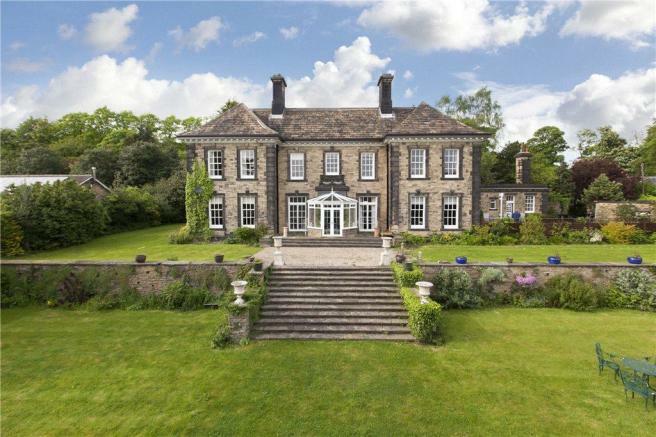 This entire estate was owned by the Lupton family who had lived at both Potternewton Hall and (owned) Newton Hall from the 1830’s. Olive Middleton, nee Lupton was born and grew up across the road from your house at Rockland(s), built and owned by her father, Francis Martineau Lupton. Olive is the great grandmother of the Duchess of Cambridge, nee Kate Middleton. Your research seems to be slightly at odds with that which I have “tracked down” over the years. Certainly, Francis William Lupton and Darnton Lupton were brothers and the sons of William Lupton. It appears that there was a third son – Arthur – who may have been in residence (or the owner) at Newton Hall (also on the estate). Or it may be that another Arthur, (a Unitarian minister and a first cousin of Francis and Darnton Lupton), was the owner of Newton Hall. It is hard to distinguish which Arthur is which! 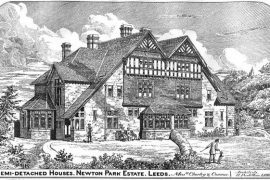 Certainly, the (Potter)newton Park Estate stayed in the Lupton hands until most of the buildings had been sold and converted to trust funds – circa 1927. I had a feeling that Rockland was being rented by the NHS – it is possible that some of the rent goes directly to Kate’s father! I wonder if you could find that out!!! Below are 2 sites that may be of some interest to you – the wikipaedia site: “Lupton family” is also good value. I do hope that you received my last email – RE your home’s links to Kate Middleton. All of your information now appears to be correct as of April 3rd, 2015. You might like to know that Francis Martineau Lupton, a politician, was the eldest son/heir of Francis Lupton (died 1884). The estate had earlier been known as the Potternewton Hall /Newton Hall Estate; Arthur Lupton had purchased Newton Hall in the early 1840s and his brother Francis buying, in 1860 the adjoining Potternewton Hall, where he had lived since c1848. Another brother, Darnton, had lived at Potternewton Hall since the 1830s. 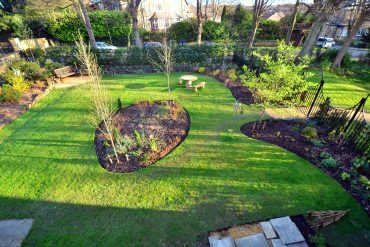 As you note, your front garden once formed part of the grounds of Rockland (built 1879) ,which was the home of Francis Martineau Lupton and Olive Middleton, nee Lupton – the great grandmother of Kate Middleton. We see now that Olive is infact listed on one of the census’. Here is a pic of Francis Martineau Lupton – he is the one wearing spectacles. 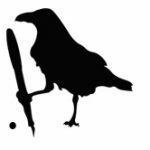 Down the line, there would, I think be some interest from the media and press (UK Daily Telegraph, BBC Leeds et al) in your home’s link to the “playground” of Olive Middleton; the great grandmother of the future queen of the UK. Hi Mike Thanks for the comment and the photo. 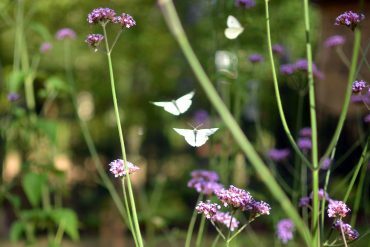 Our garden was never part of the grounds of Rocklands but part of the grounds of Newton Hall. Our House, Rocklands and Eltonhirst.Oakfield were all built at the same time by the same architect. 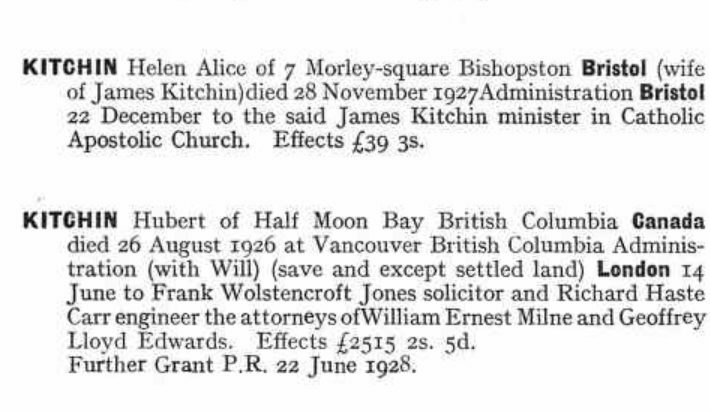 So although Olive would have been a neighbour and I imagine the Luptons were good friends of the Currer Briggs (who were a very important family too.) I am not sure we could claim any links except as Neighbours. 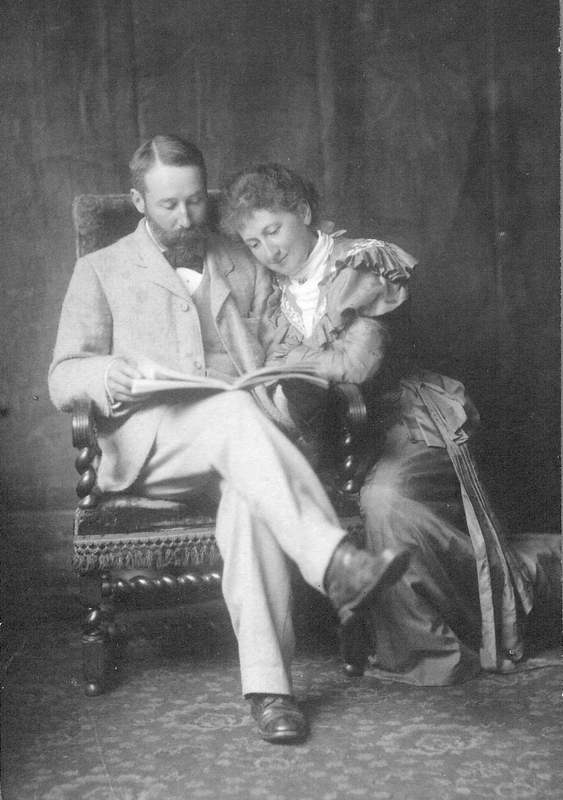 Francis Elizabeth Lupton was Francis Luptons wife and she dies after him in 1892. Their son Francis Martineau (named after Frances Elizabeth’s mother Elizabeth Martineau)lived at Rocklands. Glad you have received our information. Our records state that Olive Middleton was born at Rockland, in the grounds of Newton Hall, in 1881. 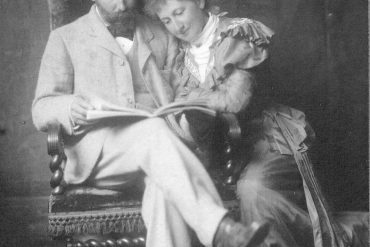 Rockland was the first of the arts and crafts houses to be built and it was built for Olive’s father – Francis Martineau Lupton. As there were no other houses built until Olive was a toddler, we can assume that she enjoyed the open fields surrounding Rockland. This land, as you know, was soon further subdivided and your house was built. 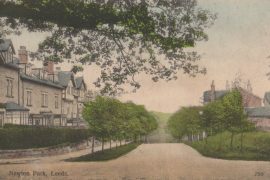 Streets were then created more formally, (St Mary’s Road) rather than the original gravel driveway to the Rockland, and the Newton Park Estate soon emerged. St Martins Church was also built on Lupton land by 1880. Chas Lupton would be Charles Lupton who is seen in a British Pathe film on YouTube in 1916 when he was Lord Mayor of Leeds. The other 3 Lupton brothers are also in the news film. All the best with your renovations and on the architects page (Chorley etc) you might like to change the name Francis Lupton to Francis Martineau Lupton – his son. A great site- we love looking at it! Our plot of land was sold in 1874 and the house was built in early 1882. As Olive was born in 1881 and according to the census they were living at 4 Newton Grove (a very pretty Georgian Terrace that still survives just round the corner from us). I am not sure what your records are that state she was born at Rocklands as it was not according to the census built then and they were not living there. That means our land would have been a building site at the time, (as I presume Rocklands and Eltonhurst/Oakfield were). It is a lovely thought to think that all the children of the families played in each others gardens but I suspect it was just a big muddy building site! Have you seen this before? Leeds conservation development it shows the development of the Estate over the years. You said you had a plan of the estate I would love to see it, as I said before we have a coach house which is thought to pre-date the house but we have no evidence of this. You are correct!! 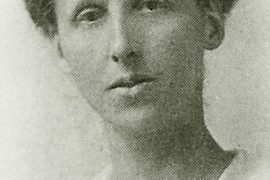 Olive Middleton, nee Lupton was indeed born at Newton Grove on April 1, 1881. – see newspaper announcement below from London Standard – you should be able to understand it! 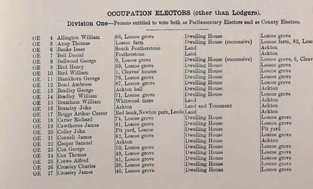 I will track down a later announcement which we have seen (in another paper) of Olive’s birth whereby the couple list themselves as being residents of Rockland – this is what is recorded in the Leodis (Leeds photographic archives) site for the photo of Rockland. They must have moved in very quickly once Rockland was ready for them. Understandably, Olive still managed to be born on the family estate. As you may know, the Newton Grove area was also an original sub-divsion of the Newton Park Estate, (owned from the mid 1840s by Arthur Lupton). You may be familiar with this council document below. The Newton Grove Estate was laid out in the 1850’s – be aware that the graphics department for the 2 old maps have confused the 4 different areas. The old ordinance maps I have of the estate are dated 1875 – but this is obviously a general date. I think they would be the same as the ones you have. Rockland is on it and its neighbour Oakland(?) which is a “semidetached big house” situation. Unfortunately the map cuts off underneath Rockland, so it is hard to see if your house is on it. Given that your lovely front yard was once owned by neighbour Francis Martineau Lupton, you are correct in saying that there may have been, by 1883, some play amongst the small children (including Olive) of the “unfenced” Newton Park Estate – around both Rockland and Penraevan – even if in the mud!! 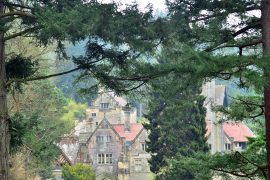 I couldn’t access some of the links so you may have identified that Arthur Currer Briggs engaged Charles Voysey to design his holiday home in the lakes. Broad Leys is now owned by the Windemere Motor Boat Racing Club. 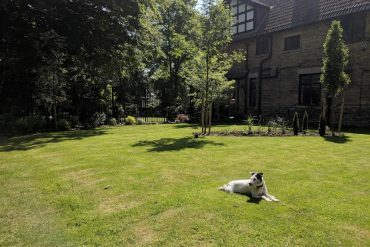 It is a beautifully designed house and there are pictures of Helen when the house was used as a convalescence home during the First World War. Beatrix Potter also has links to the house. Tony Trent put me onto you. I have an Arts and Crafts home in Huddersfield. and say thanks to Tony 🙂 I will have to check some of the links if they are broken. 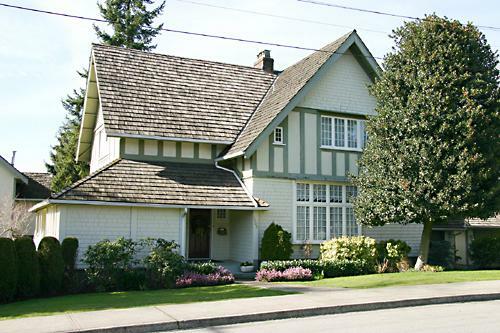 Arthur Currer Briggs certainly got a taste for Arts and Crafts, and left some beautiful buildings. 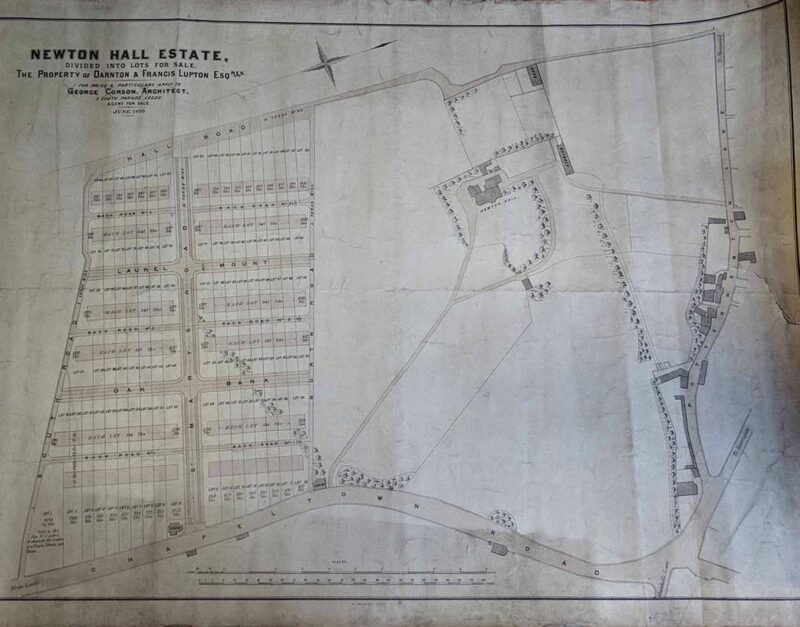 Just to confirm; the first 2 maps on this page are of Newton Hall Estate and are dated June 1870 – the year brothers Darnton and Francis Lupton purchased the estate from their brother, Arthur. 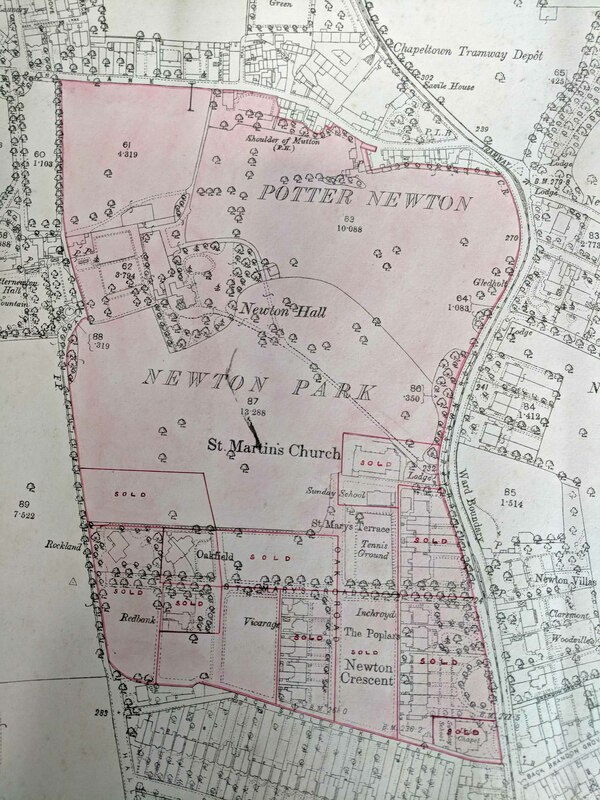 The second map – with the large red area designating the Newton Hall Estate/Newton Park Estate – would date from c 1879; clearly St Martin’s (Anglican) Church, near the Newton Hall Lodge, has been designed/built, as has Rockland, near the adjacent Potternewton Hall Estate, also owned by Francis Lupton at this time. 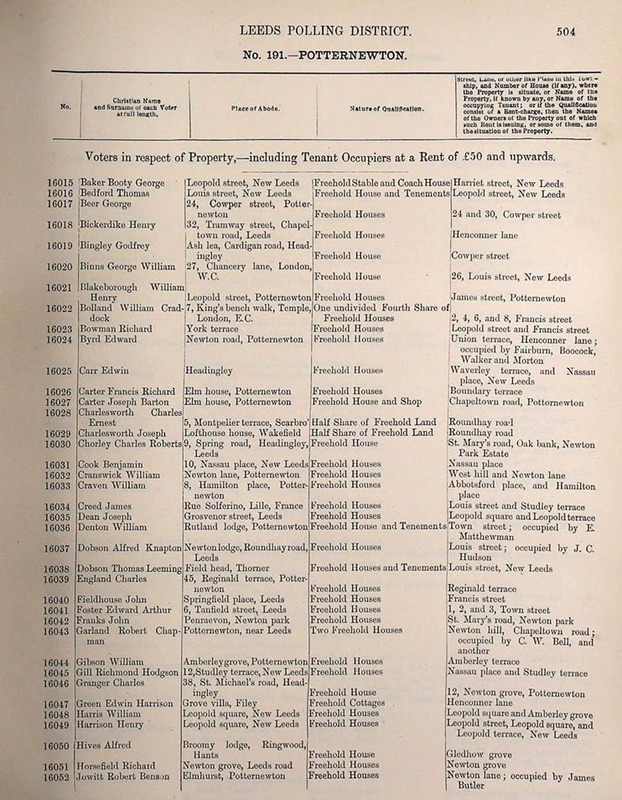 The third map is dated on another of your articles as 1920; it outlines real estate inherited by Mrs Olive C. Middleton and her sister Miss Anne M. Lupton whose grandfather Francis Lupton had purchased the estate in 1870. The second map with large red area is definitely post 1886 as it shows our plot of land as sold and Oakfield/Eltonhurst built which did not happen till after 1886. I have since deleted the third map as it was too confusing. It shows a time that never existed.